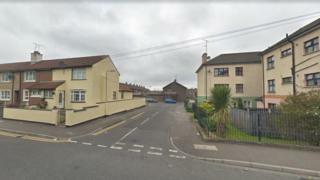 Two men have each been shot in both legs in separate gun attacks in Belfast and Londonderry. Police said a 25-year-old man was injured in "paramilitary-style" gun attack in Lisfannon Park in Derry at 19:15 GMT on Friday. The second victim was shot at Westrock Park in west Belfast at about 20:30 GMT. Both men have been taken to hospital for treatment for their injuries. Det Insp Brennan said that the west Belfast attack was "reckless" and had left the victim with "potentially life-changing" injuries. "There is no sure direction when a bullet is fired," he said. "If any other residents were walking in the area they too could have been injured. "These mindless attacks must stop."